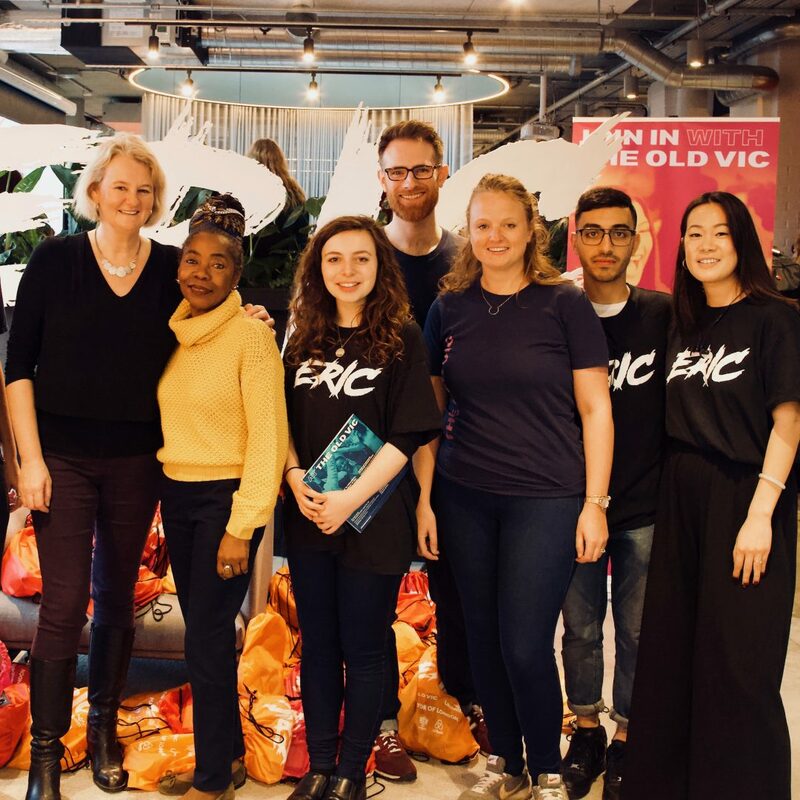 Cllr Lib Peck (Leader of the Council) and Cllr Sonia Winifred (Cabinet Member for Equalities and Culture) with the team from ERIC and The Old Vic. Nearly 300 young people have taken part in a revolutionary careers festival designed to inspire and support young people into careers within the creative industry. ERIC Fest uses entertainment and inspiring speakers to give relevant and useful advice on how to embark on a creative career. The immersive festival was designed in collaboration with The Old Vic as part of its employability and training programmes for 16-25 year olds, which offers opportunities for young people to build confidence, develop key transferable skills and increase access to careers in the arts. ‘Creativity, Curiosity, Chaos’ were the themes of the one-day event on Sunday 2 December, which was hosted by The Office Group (TOG) at Tintagel House – one of Lambeth’s most exciting new workspaces for creative and tech businesses. The event space was transformed into themed rooms representing an integral part of the entrepreneurial journey, with Lambeth Council and The Old Vic on hand to talk to young people about their stories and ambitions, as well as development opportunities they can access in the borough. The event was supported by Lambeth Council, with funding from the Mayor of London. Lambeth sees ERIC as an ideal initiative to support its Creative & Digital Industries (CDI) Strategy for Growth and its forthcoming Next Generation programme that will work with partners locally to tackle underrepresentation in the CDI and encourage more young people in the borough into creative careers.